Pictured world renowned mountain climber, Hayden Kennedy who committed suicide after the avalanche death of his girlfriend (pictured), Inge Perkins. 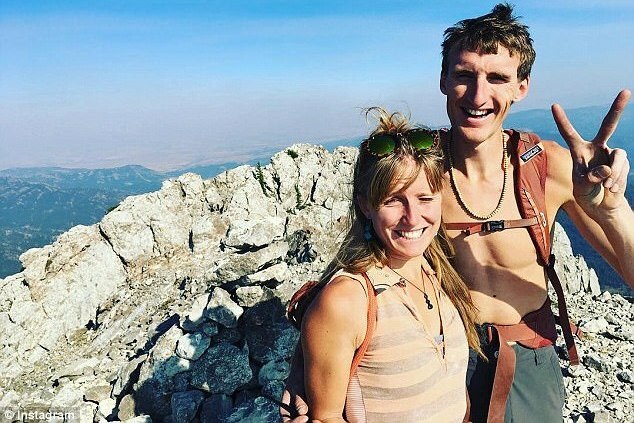 Hayden Kennedy an acclaimed mountain climber commits suicide over the avalanche death of girlfriend Inge Perkins. Wrestling with guilty feelings weeks ahead. 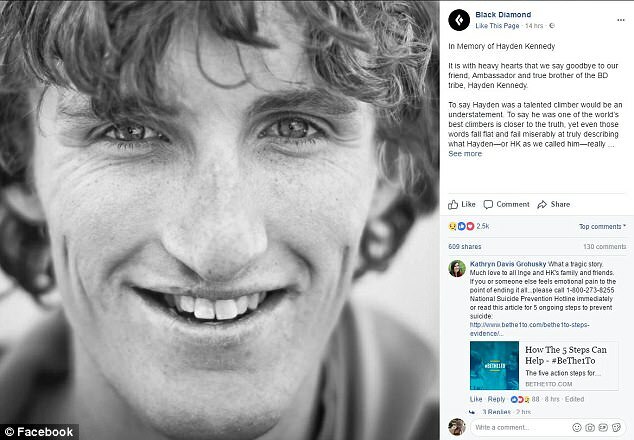 Hayden Kennedy a renowned mountain climber has committed suicide just one day after surviving an avalanche that killed his girlfriend, Inge Perkins. 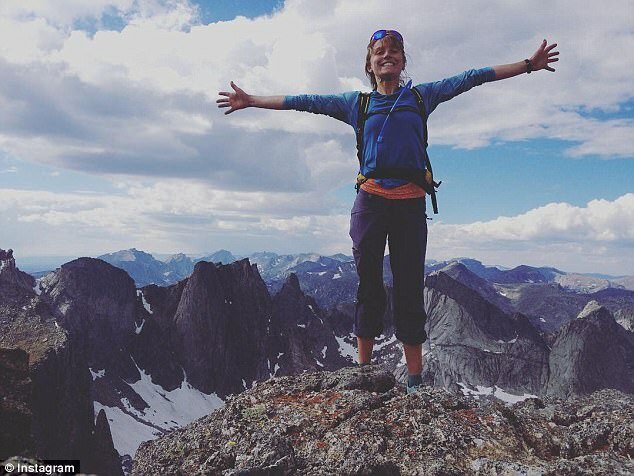 Kennedy, 27, of Carbondale, Colorado, was skiing with Perkins, 23, at Imp Peak in Bozeman, Montana, on Saturday when they triggered an avalanche, according to the Gallatin County Sheriff’s Office. Perkins, an avid climber and ski mountaineer, was buried 3 feet under the avalanche measuring 150 feet by 300 feet, the sheriff’s office said. Kennedy, hailed as one of the world’s greatest alpinists, was only partially buried and managed to dig himself out and search for Perkins. Doug Chabot, of the Gallatin National Forest Avalanche Center, told Outside Magazine that Kennedy left a note with ‘incredibly clear directions for where to find her’ in lieu of calling 911. Hayden Kennedy suicide: An accomplished mountain climber is revered. Kennedy’s suicide death comes after the climber having recently moved to Bozeman to work towards his EMT certification, with Perkins enrolled at Montana State University, where she was studying mathematics and education. Perkins, who grew up traversing the mountains of Montana and Norway with her parents, hoped to continue pursuing her passion for climbing and skiing around the world, she wrote in her biography on Mystery Ranch. Among her accolades, the avid climber won the Montana Bouldering Championships among other competitions. Hayden Kennedy, who famously climbed Cerro Torre of Patagonia in South America in 2012, was remembered by his family as an ‘uncensored soul whose accomplishments as a mountaineer were always secondary to his deep friendships and mindfulness’. ‘Excelling at running, climbing, and skiing, the pair was always living life to the fullest and showing the world just how that’s done,’ the tribute continued. Hayden Kennedy suicide: But there were warning signs the mountain climber had been wrestling with his conscience. But there were warning signs that the world and risks of mountain climbing had been taking a toll on Kennedy, with the climber writing weeks before this weekend’s tragedy of his reservations. ‘It’s not just the memorable summits and crux moves that are fleeting. Friends and climbing partners are fleeting, too. This is the painful reality of our sport, and I’m unsure what to make of it. Climbing is either a beautiful gift or a curse,’ he said. Kennedy’s post continued with an anecdote about climbing a ‘big-wall route in Mexico,’ an “incredible” experience with three good mountain climbing friends, two of whom would later die. Pictured, Hayden Kennedy’s late girlfriend, Inge Perkins.